The McDermott G407 is a stunning cue that also plays beautifully. 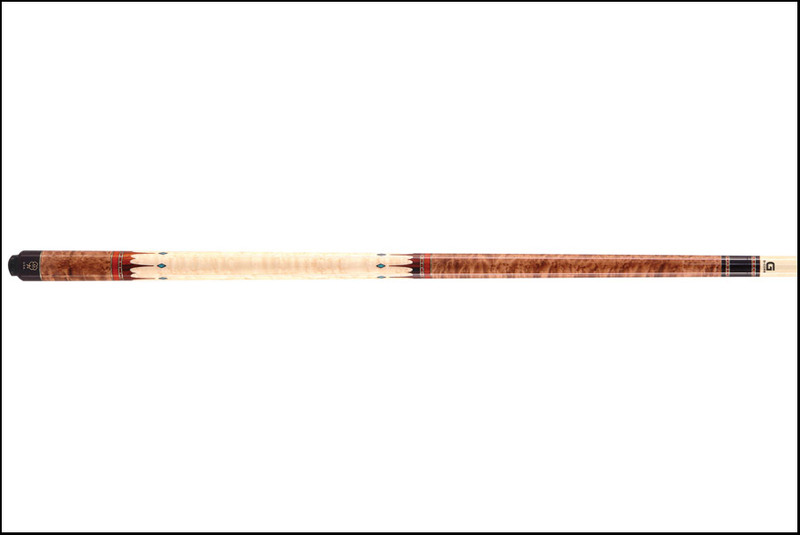 The G407 has a Birdseye Maple forearm/sleeve, American Cherry stain, 2 Cocobolo “Crown” wrap rings with 12 Turquoise diamond inlays, Birdseye Maple no wrap handle and of course the G-Core shaft. 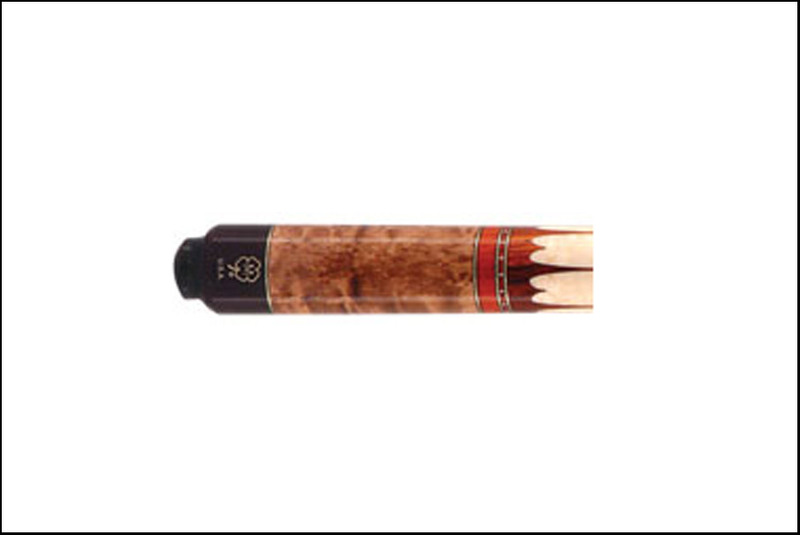 G-Core shaft has carbon starting at the tip and extending through the first 7 inches of the shaft. This gives you the accuracy and power of a high-performance shaft, but with the familiar feel of a traditional all-maple shaft. Made in the U.S.A.